Have I mentioned before that I love all things French? Well if I haven't, I am telling you now! I am a Francophile, albeit an accidental Francophile, but I am one nonetheless. I say accidental because I was never one to be interested in French décor or even in going to France but for the last four years Mr. H and I have been going to Europe and last year we thought we'd give France a whirl. After all, we did love French wine! Well, I fell in love. I became a Francophile. It just happened and why it's just this country, I have no idea. I've been to probably 20 other countries and have loved them all, but never turned into a "phile" of any of those other countries! see it? 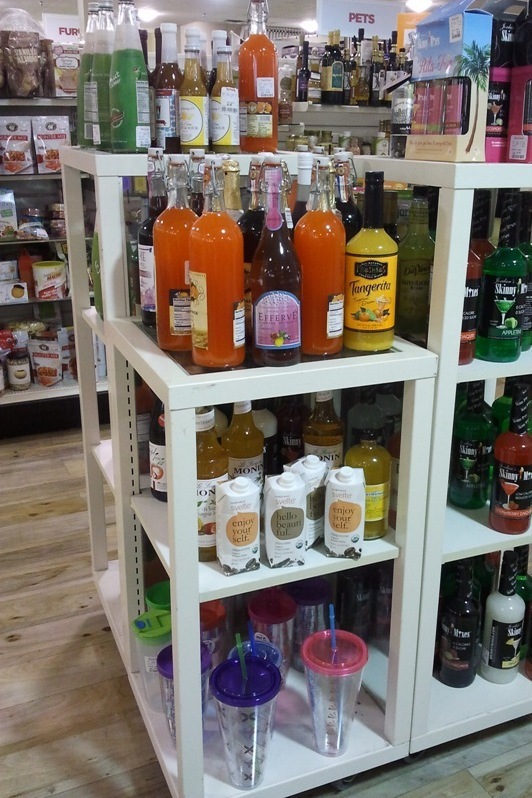 A bottle of the French sparkling lemonade right there on the shelf! I dug through the bottles and found three of the ones I wanted. As you can see, I put them to very good use! I LOVE my new "vases", and the best thing about them is that they're French! As an added bonus, I got to enjoy the yummy sparkling lemonade as well! Tres chic, Khammany! Those lemonade bottles are seriously cute as flower vases! Merci, Stacy! They're so much fun! Thanks for stopping by! I looked at some of your older posts, and know where you can get a copper sink in Canada. That won't help you, it you should be able to google it. Thanks for the tip about the copper sink, Betty! I will have to check it out, can't get enough of copper! Thanks so much for visiting and following! I'm so happy that you did! lemonade+TJMaxx+Denver (I live in Colorado Springs)= PERFECTION!!! Tres magnifique, mon ami! I, too, adore all things French, although I've never been there. I'm happy you were "reunited" with the lovely bottles. Your flower row looks quite charming. I also adore all things French and your bottles are just gorgeous. It was very nice for me to read that post! I'm always on the llokout for very old lemonade bottles when thrifting for the shop and I'll tell you if I do find some! 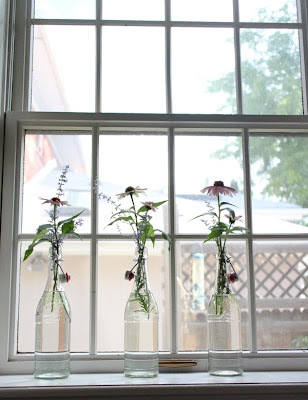 I love how you turned yours into vases on your window sill. Sparkling lemondae does sound really good! Love the new vases too!! Will be on the lookout for these now! 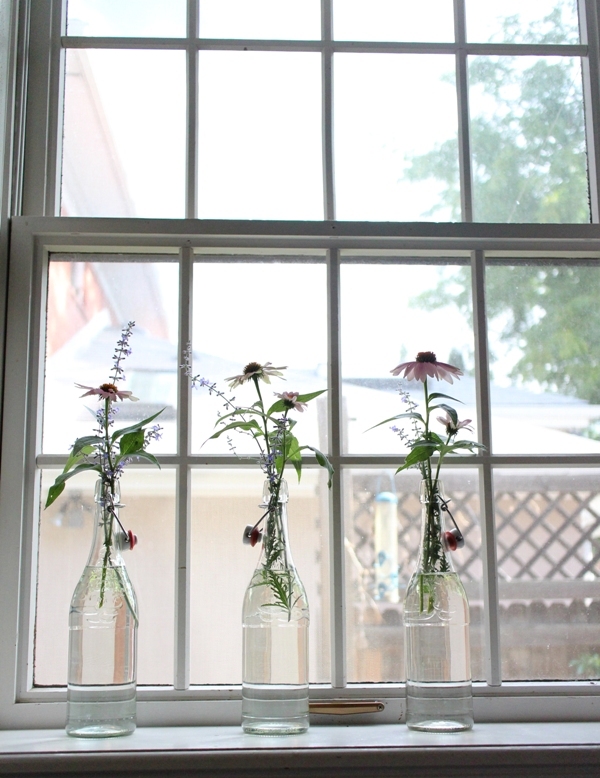 Your new vases are gorgeous and they look lovely on your window sill. Re your question regarding the vineyards in October they look stunning as it is Autumn here so they are a mass of colour. I LOVE this idea! So sweet and charming. I may have to do the same thing...It's so important to surround yourself with the things you love. 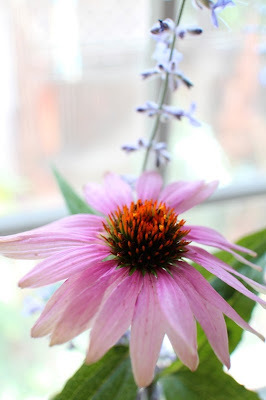 Thank you for visiting my blog, dear heart. You too have a new follower. Very sweet and gentle touch in the decorations. Lovely colors also. Thanks so much for the kind words. Thank you for visiting! Hi Khammany, thank you for dropping by at my blog and leaving a comment. Wow you got married in Boracay! How did you find it? Sound so exciting to get married on the beach, so romantic! Thank you for your kind comment on my blog! 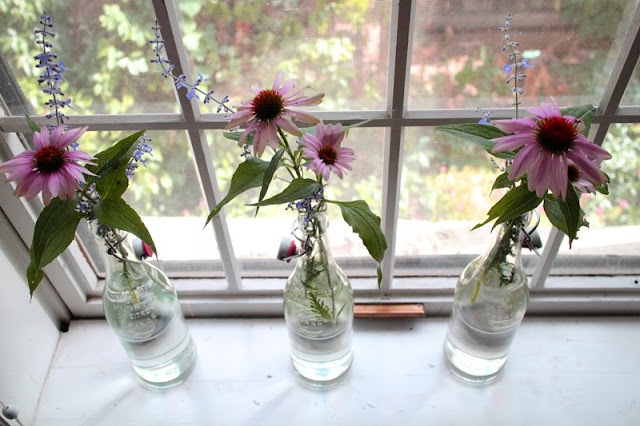 Your French lemonade bottles look good in your windowsill with the pretty flowers inside! 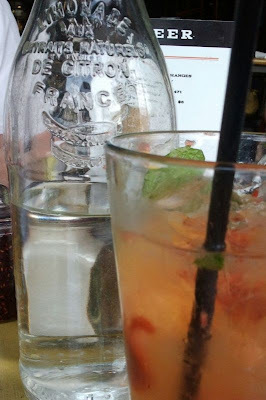 Enjoying myself as I scroll through your blog...I too love the French bottles. Will have to remember to look for some at TJ's! Tres jolie! P.S. I loved that you used "tres jolie", it has such a pretty ring to it! What is it about France, the French, their food, their customs, their cuisine, their...that make Francophiles of us all?!! This coming March, for my 50th (ouch! I think my eardrum just burst! ), I would love to visit Paris and Provence. 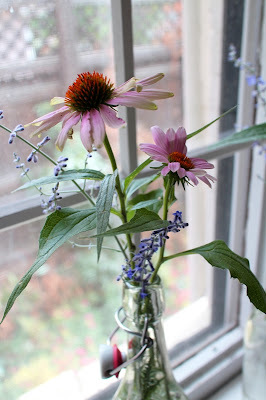 Don't know if that will transpire, so, until then, I will sip your French lemonade, stare at your pretty petaled lovelies and cry into my cafe au lait, (the French love drama), and pretend that I am French, fashionable and 40! Thanks so much for the great inspiration! 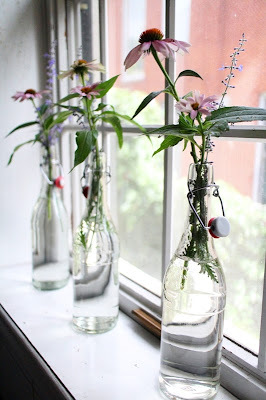 Flowers on the bottle... so simple but look so elegant... Good idea ! Mango sticky rice "birthday cake"